In the previous Vinyl Memories, I wrote about the music I brought to my college roommates. I became exposed to new music, as well. 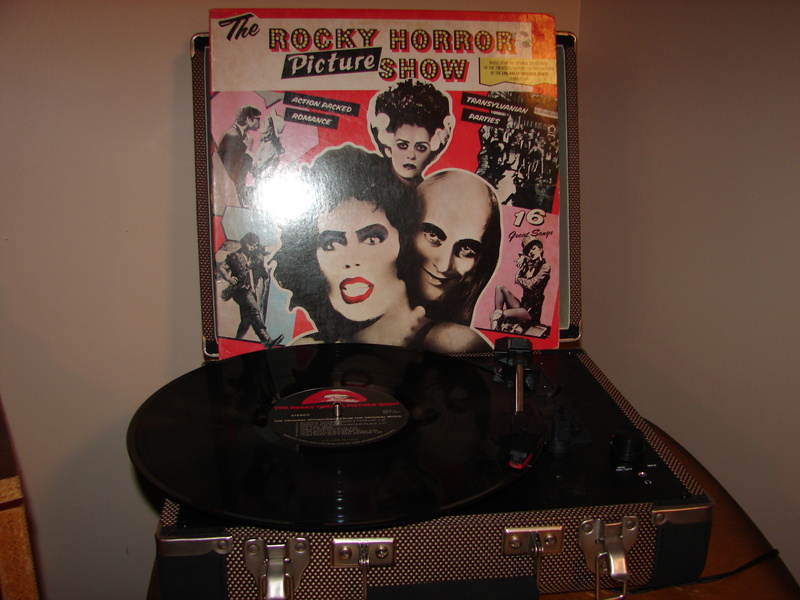 One of those slices of vinyl was The Rocky Horror Picture Show. I was familiar with tunes “The Time Warp” and “Sweet Transvestite,” through the Dr. Demento Radio Show I listened to on Sunday nights back in high school. But I had no clue where these tunes came from. On a Saturday night, my Romulus suite-mates, Dan and Rob, brought in their friends, Ralph, Stu, and Joe, as they were going to the Briarwood Theater in Ann Arbor for a midnight showing of Rocky Horror Picture Show. It was, I discovered, a regular event for them. I could relate in that I had seen Star Wars three or four times. But they went to this movie almost every week, which completely baffled me. Based on the Richard O’Brien play which opened June, 1973, in London, the movie premiered at the UA Westwood Theater in Los Angeles, CA on September 26, 1975, and was released in the United States on September 29, 1975. It had a very brief run in limited markets, and was considered a failure. Then, on April Fool’s Day in 1976, the Waverly Theater in New York – popular for its midnight showings of cult classics – ran the film, where it became the birthplace of the audience participation with the film. I was a “virgin,” they declared, having never seen it, and they were eager to change my status. I might have gone, however there was something that I wasn’t comfortable with. These guys dressed up as the characters in the movie. Rob went as Rocky, Ralph was Eddie, Stu was Riff Raff, and Joe was Dr. Frank N Furter. 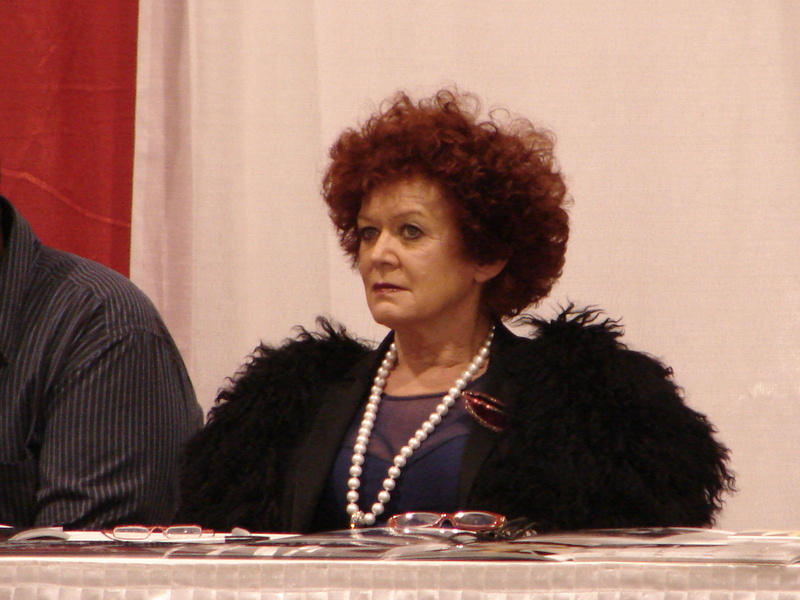 A couple of girls that Stu and Joe were dating at the time took on the roles of Magenta and Columbia. Having come from a sheltered, conservative Plymouth upbringing, I was hesitant about joining them on their midnight adventure. After seeing Joe emerge from our bathroom dressed as Dr. Frank N Furter, well, I passed. Cosplay was not common back then. Outside of Trekkies (Star Trek fans), the Rocky Horror phenomenon must have been near the roots of the history of Cosplay. I finally saw the movie on cable years later. Perhaps on the small screen it lost its grandeur, because I was unimpressed. The music was good and fun. Discovering that Meat Loaf was in it (subject of a future Vinyl Memory), increased my interest. But yeah, I just didn’t get the reason for the hype. Yet, I feel I’ve missed something. A lot of good people I know have recommended it. It sounds like it’s about the movie AND the experience with those in the audience. I can relate to that thanks to the Detroit City FC/Northern Guard Supporters experience (And nothing…will ever be the same). A few years ago I purchased tickets for the live musical performed at the Baldwin Theater in Royal Oak. However, my wife’s uncle passed and the viewing was the night of the show. This year is the 40th Anniversary of the cult classic. New York will be hosting a 40th Anniversary convention from September 25-27, and will premiere a film, “Rocky Horror Saved My Life.”. I don’t need to go to that extreme for my virgin viewing of the full experience. But maybe, somewhere around here, I’ll be able to partake in that late night, double feature, picture show; in every day casual wear. Can’t really see myself in fishnet and garters or a gold Speedo. I don’t think you want to, either.